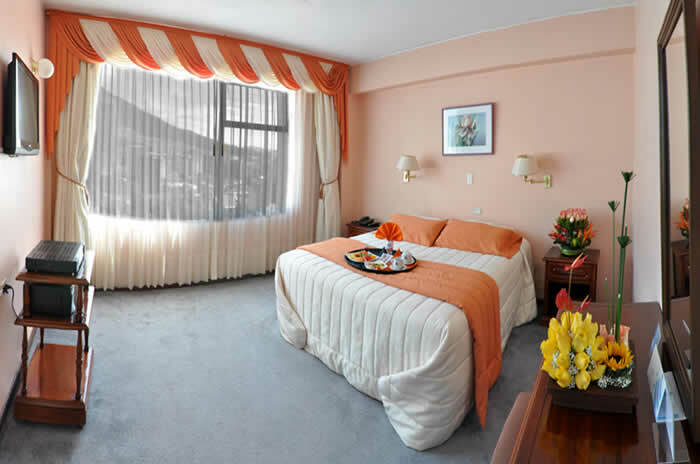 Hotel Tambo Real is located in the heart of Quito commercial, banking and touristic area, near to Amazonas avenue, the most attractive walking street, not far away from downtown and the old city, where you can enjoy the colonial churches and the different historical sites. The Hotel this one strategically in the commercial and banking zone of the City. 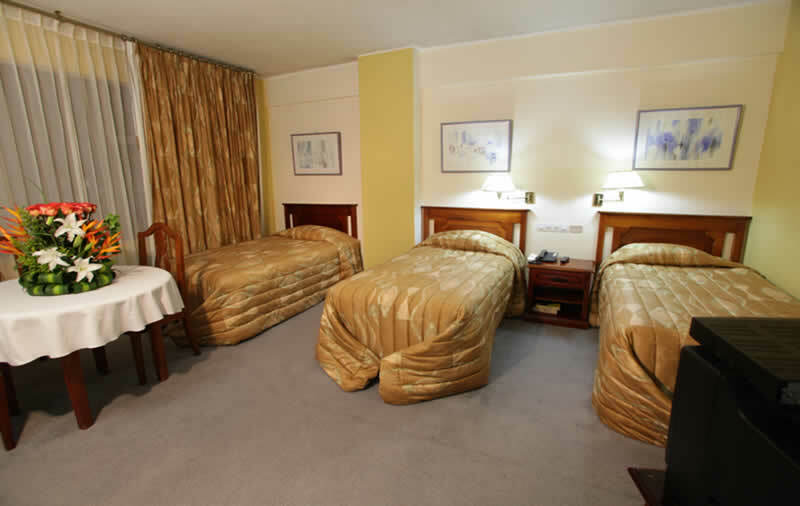 Its proximity to the historical center and to the main tourist sites makes the Hotel as one of the best options to lodge. 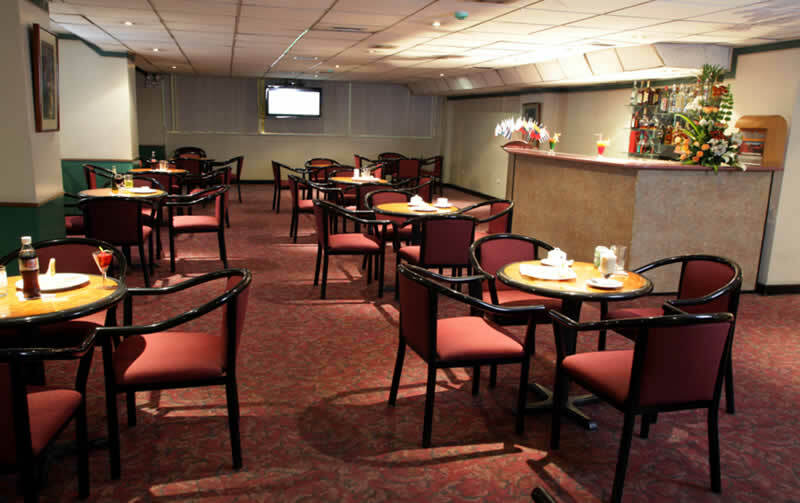 Tambo Real Hotel offers you 90 spacious rooms: singles, doubles and suites; fully equiped which feature, cable TV., minibar, big bathrooms and king size beds. 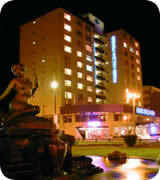 "Tambo de Oro" offers National and International cuisine in an atmosphere of elegant hospitality. We have 2 Meeting Rooms: Inti and Chasqui with a capacity of 200 people each one.